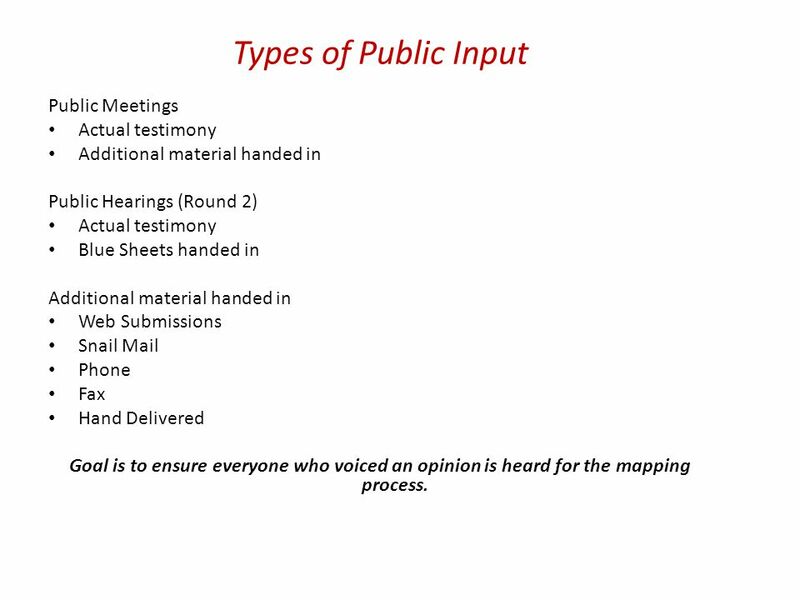 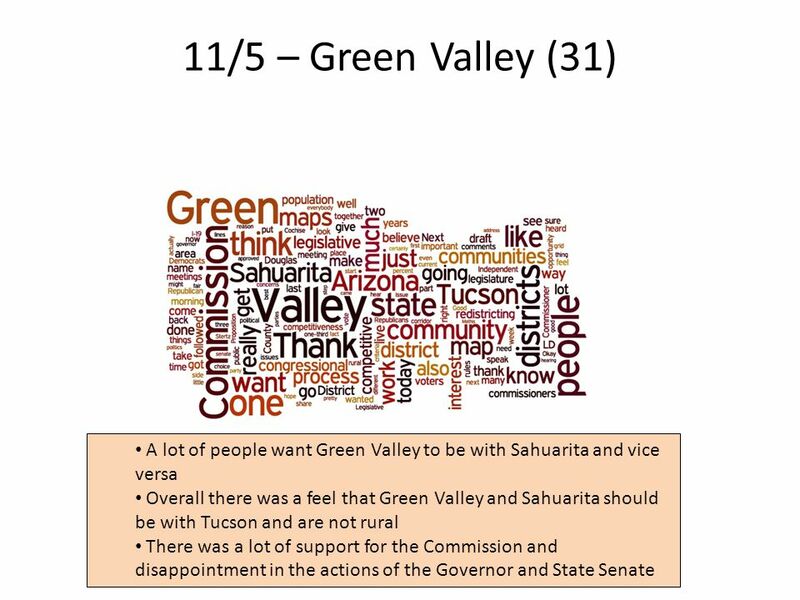 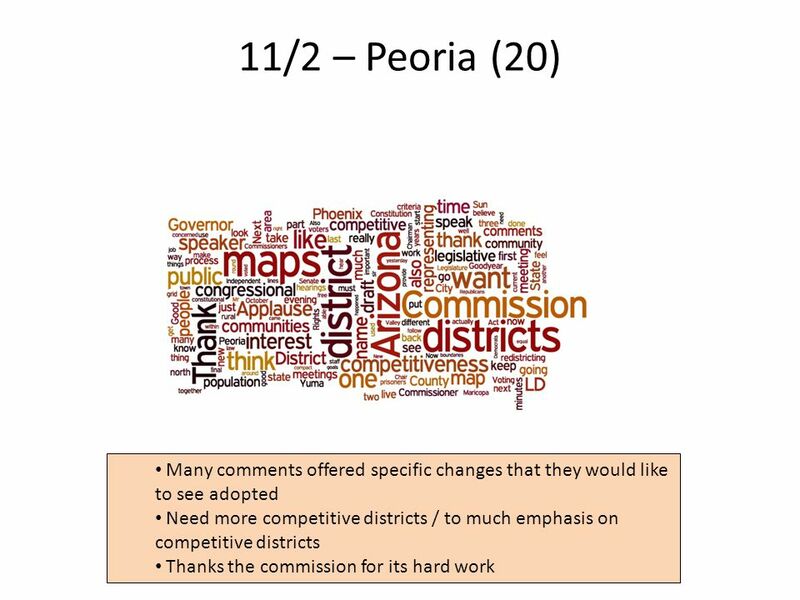 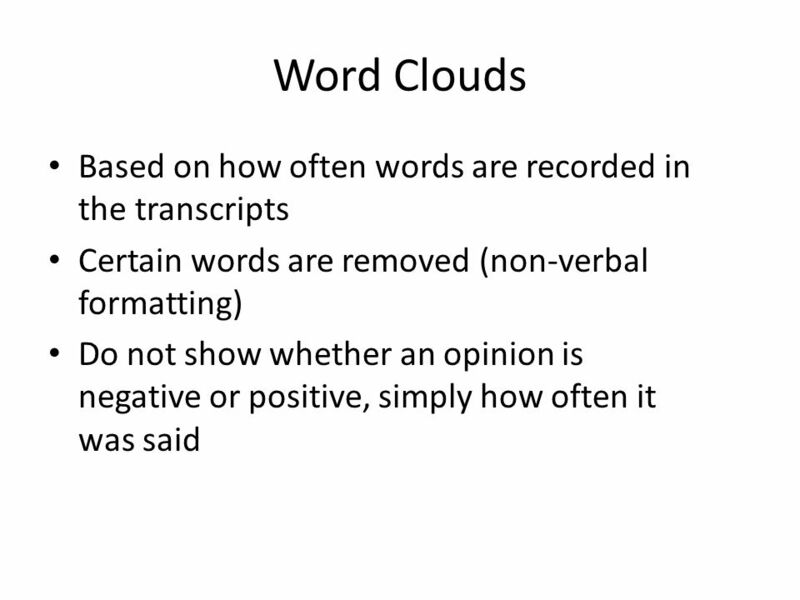 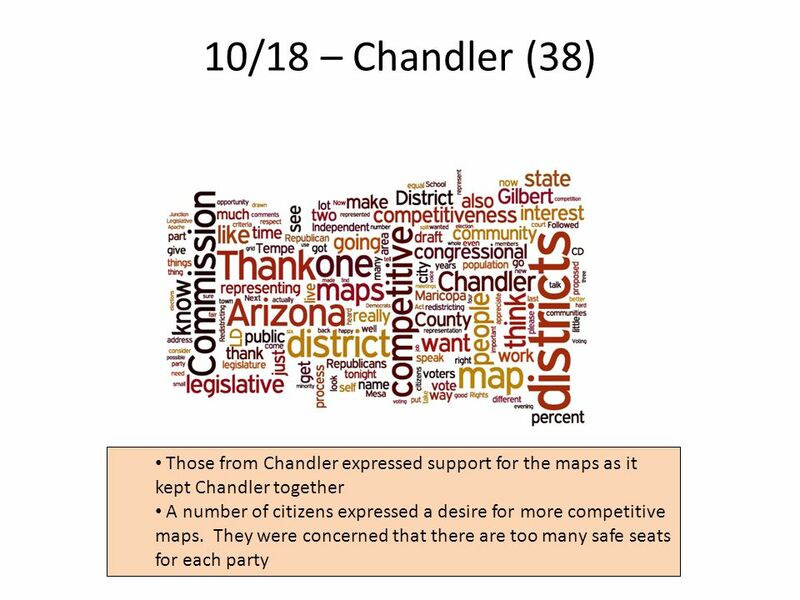 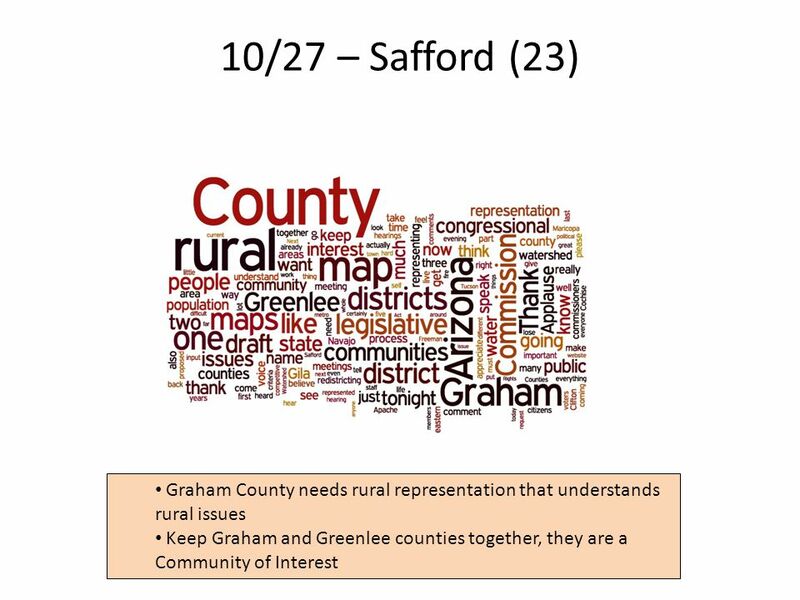 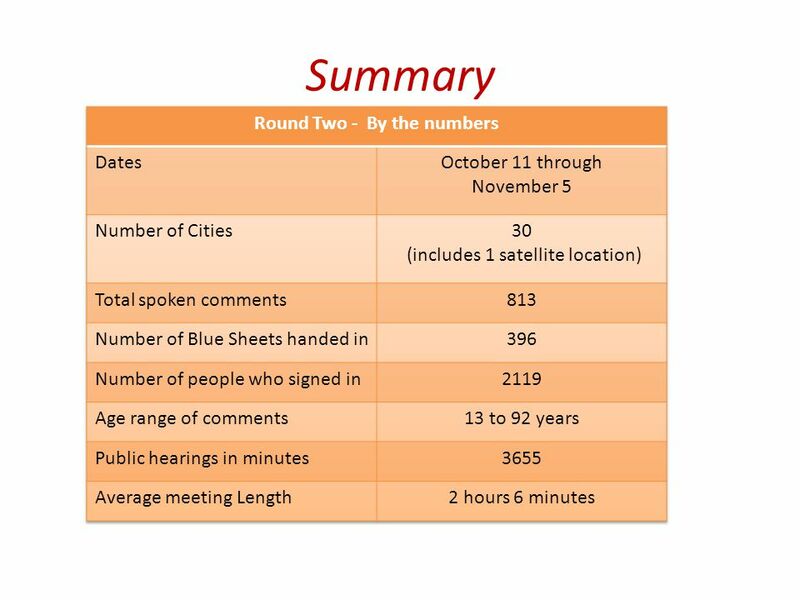 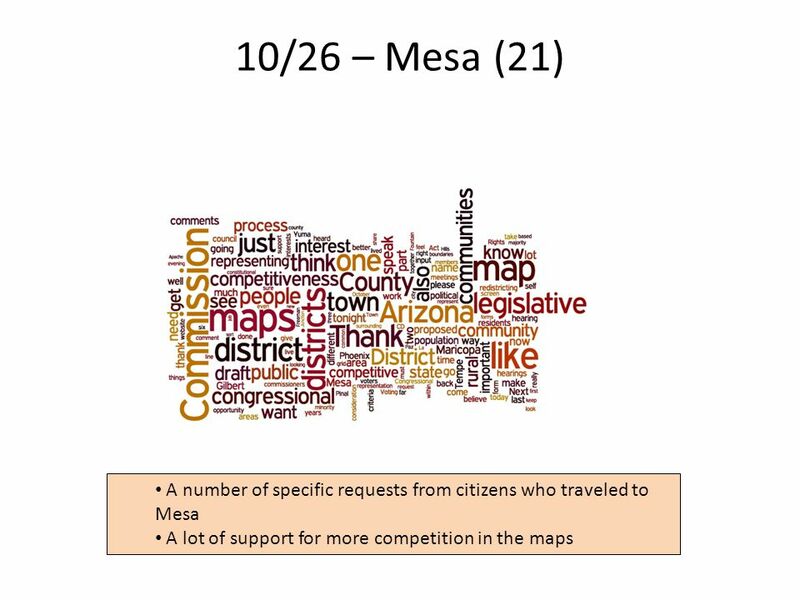 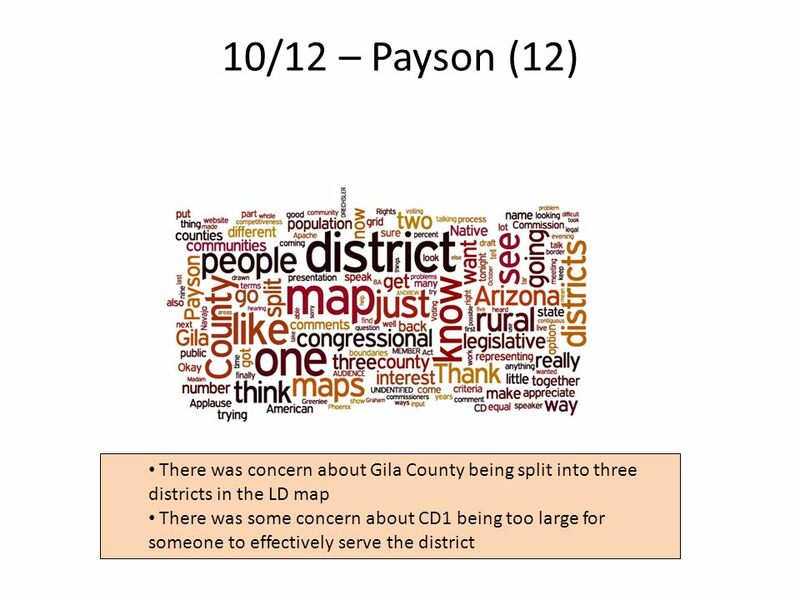 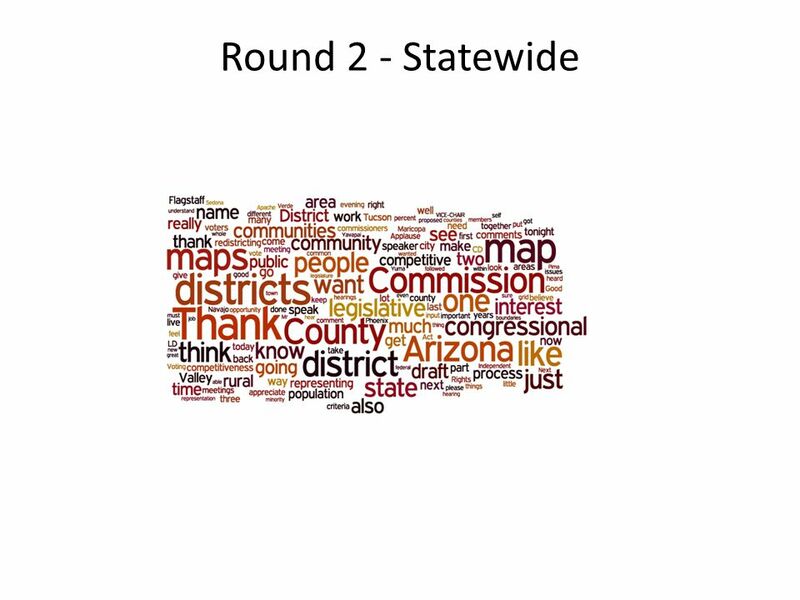 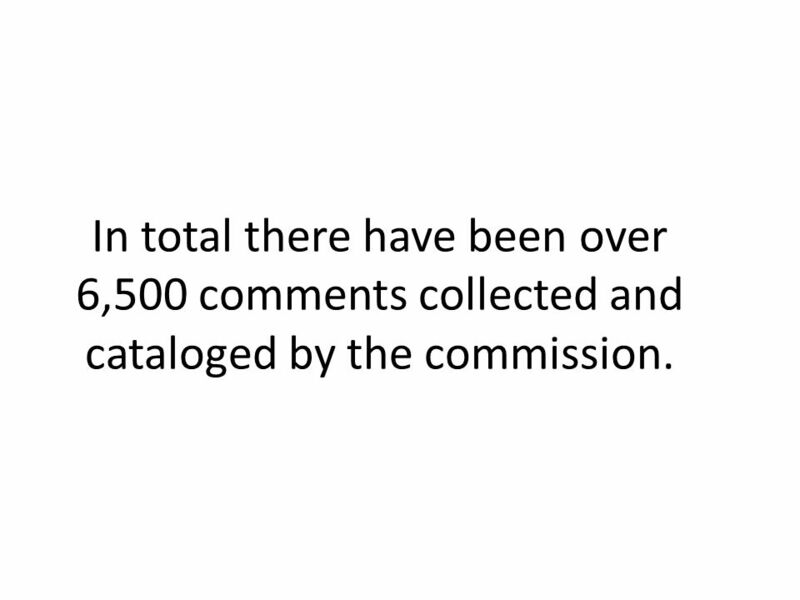 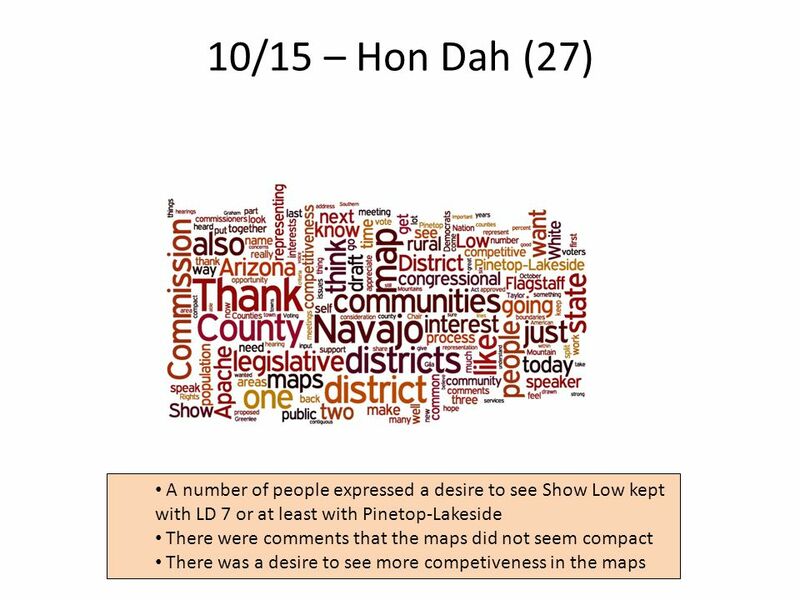 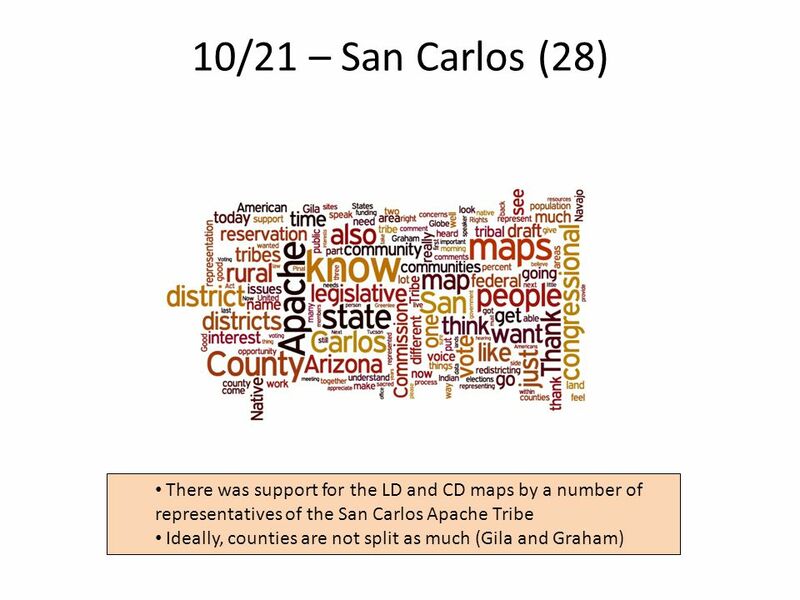 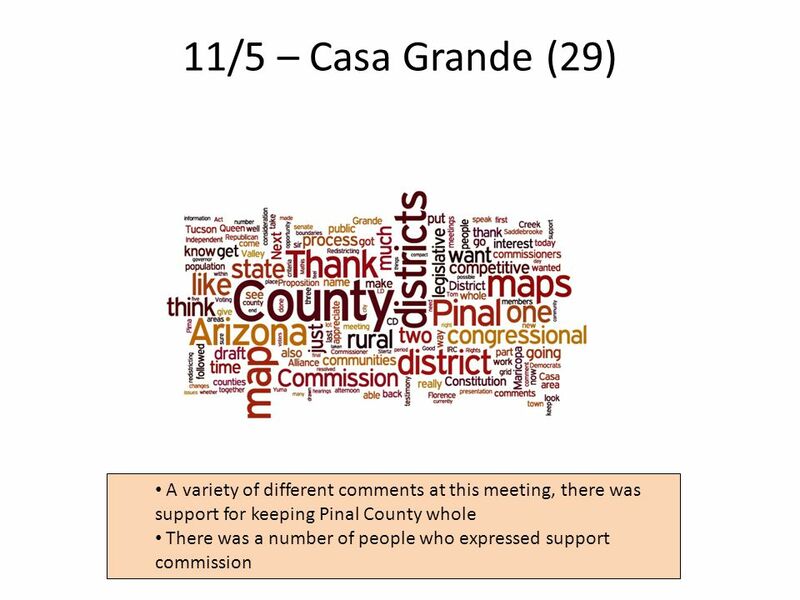 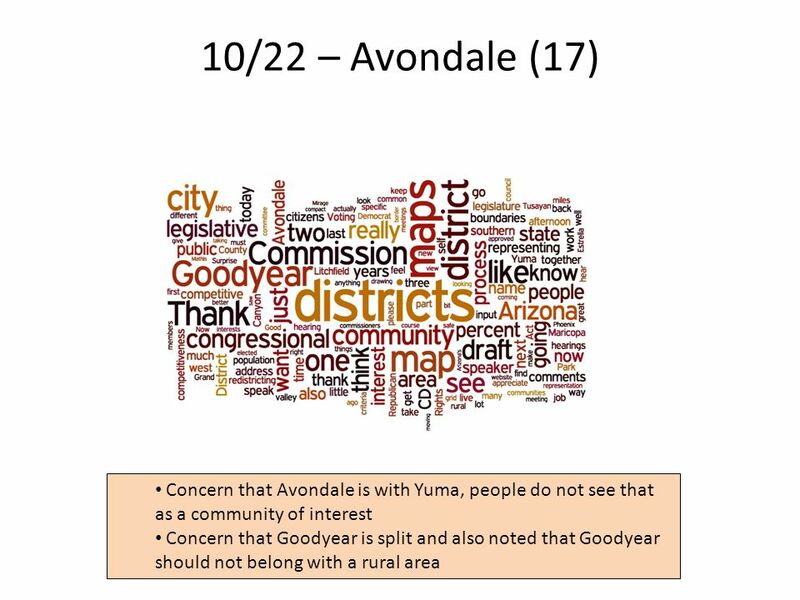 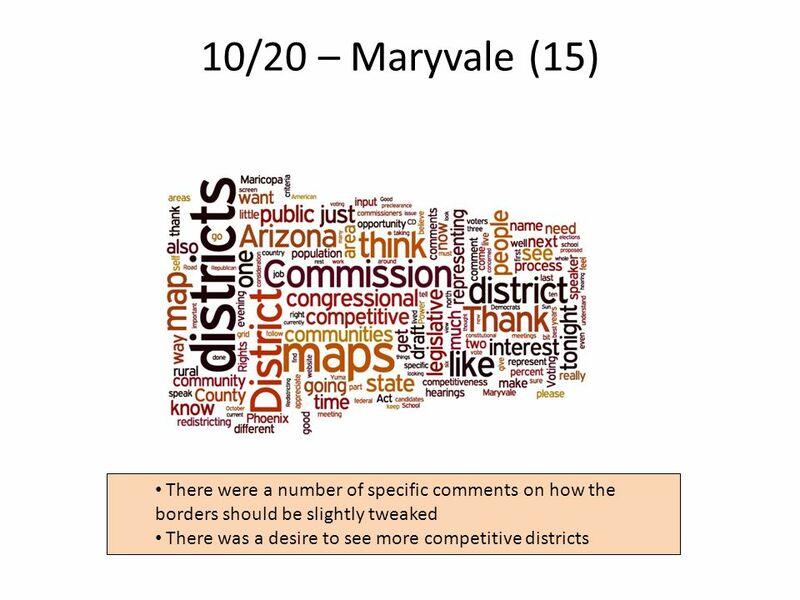 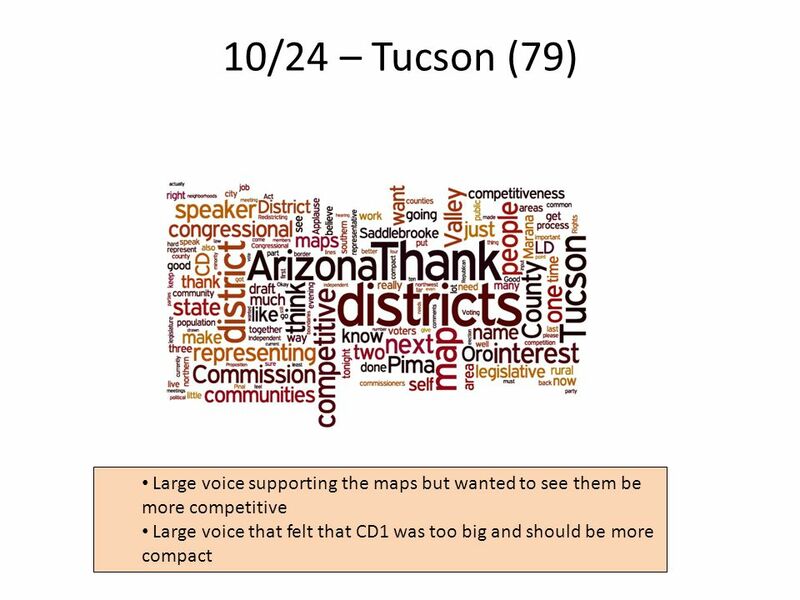 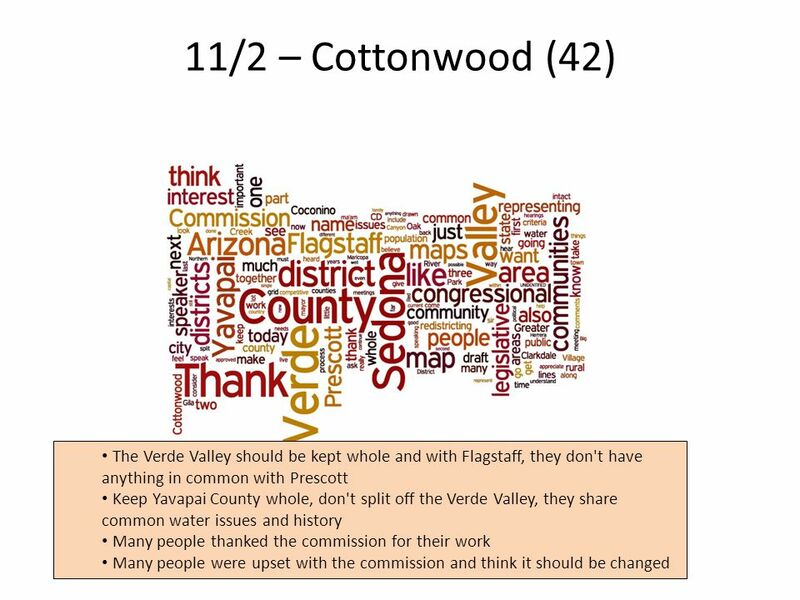 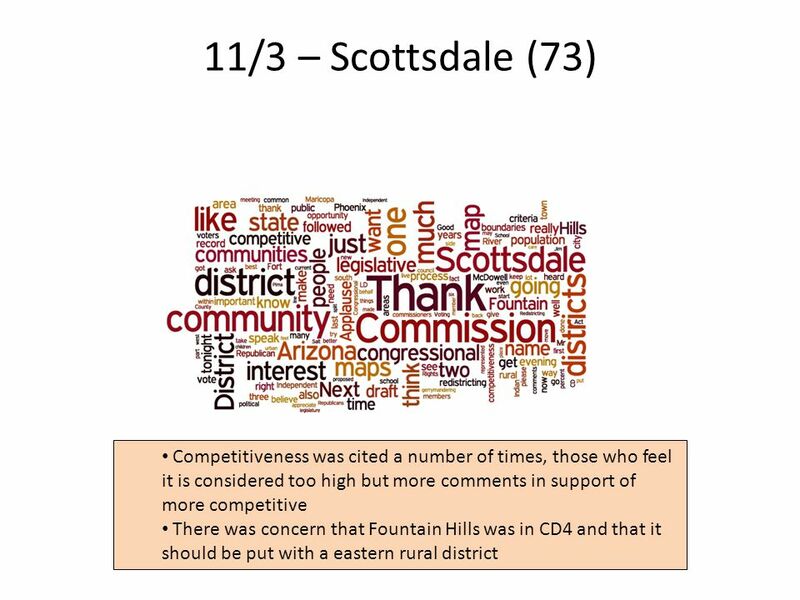 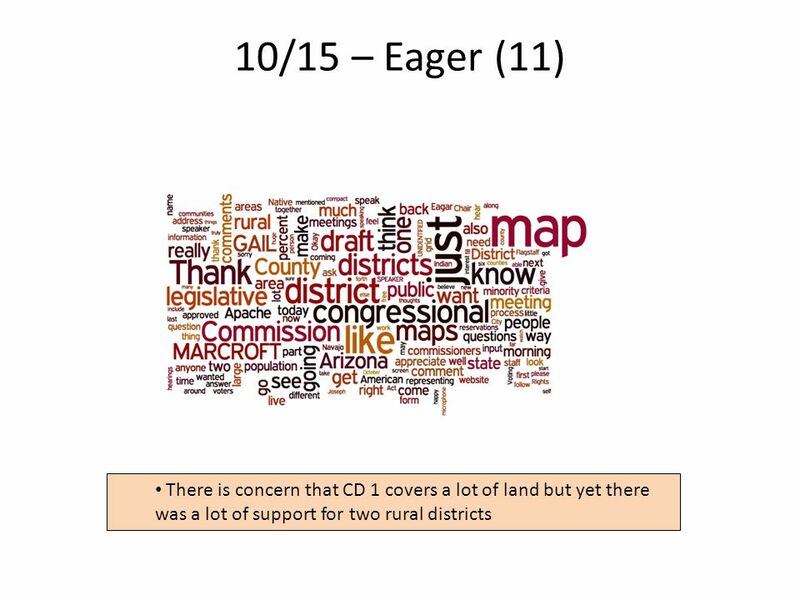 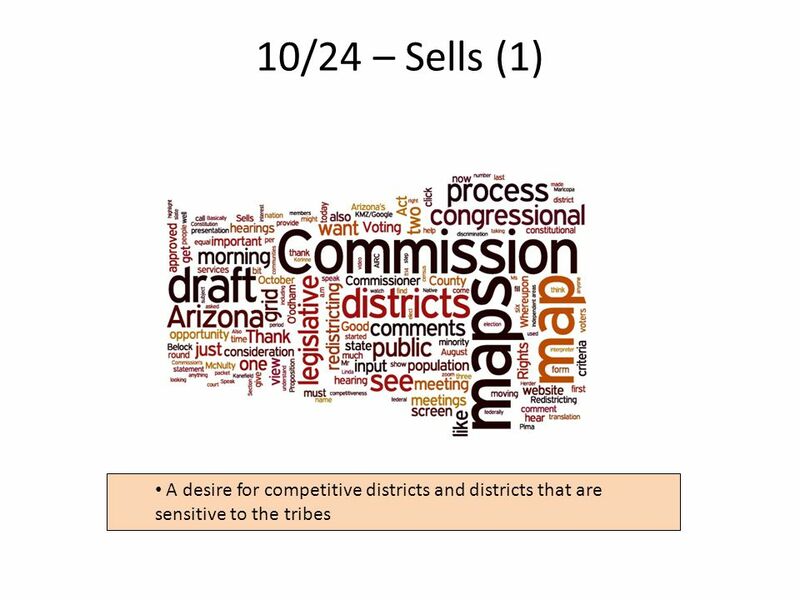 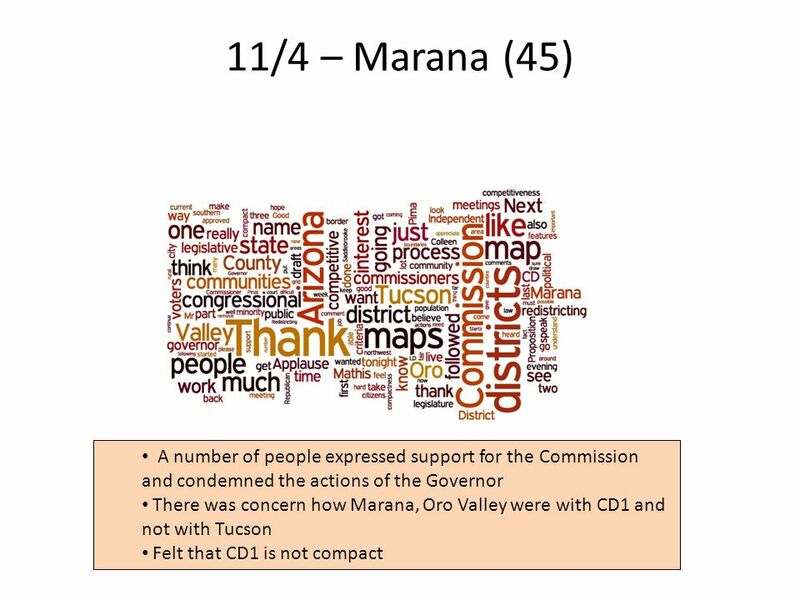 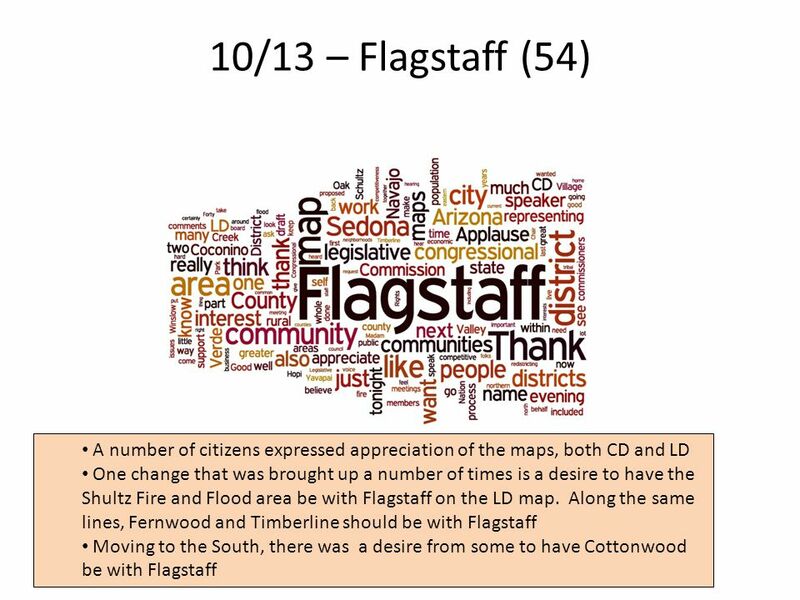 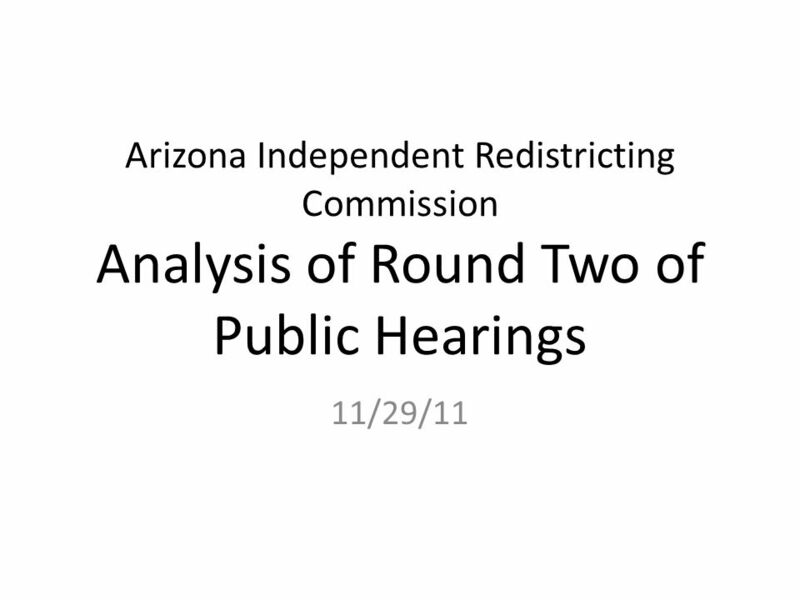 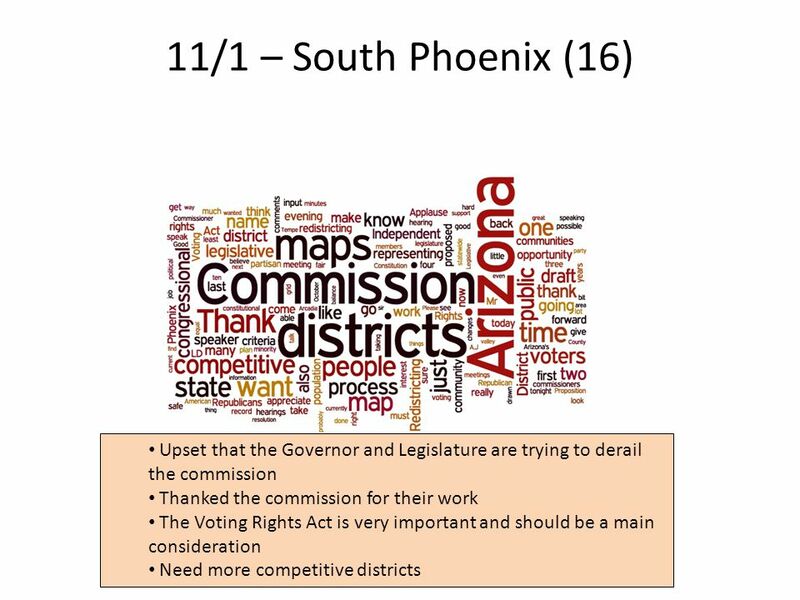 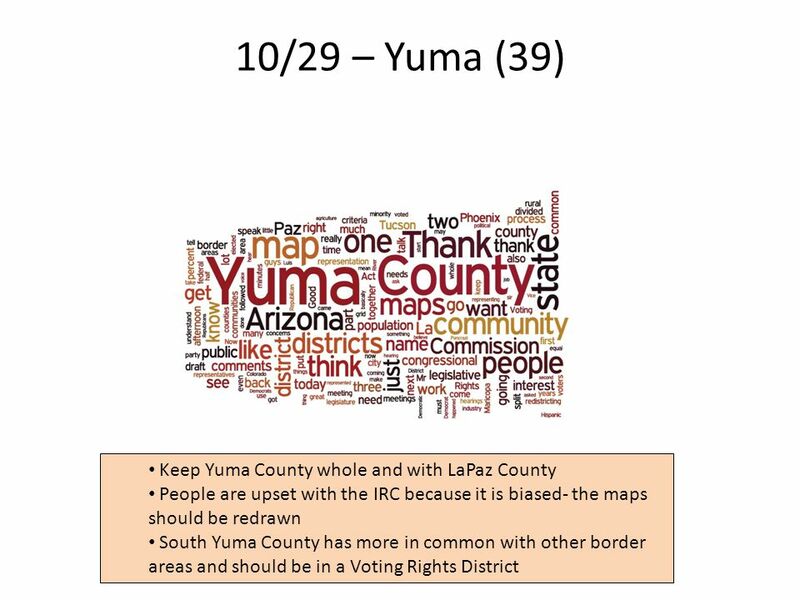 Arizona Independent Redistricting Commission Analysis of Round Two of Public Hearings 11/29/11. 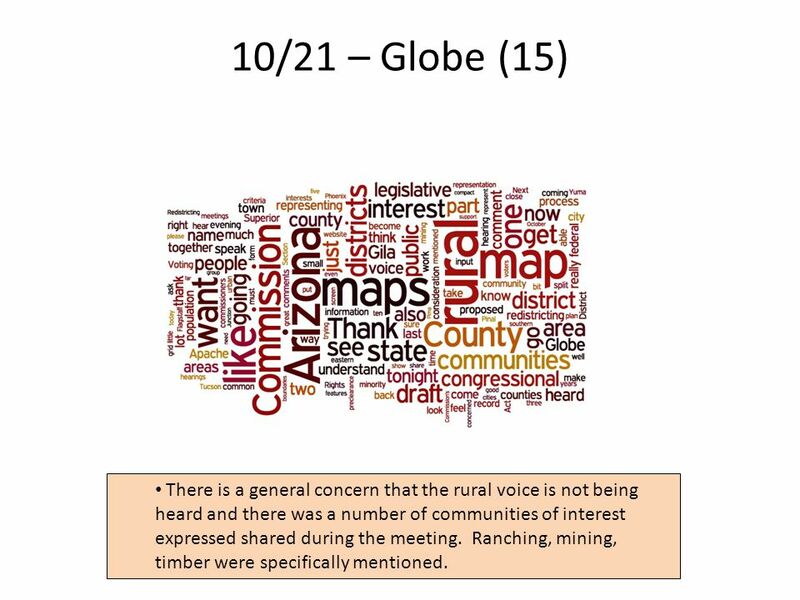 18 10/21 – Globe (15) 18 There is a general concern that the rural voice is not being heard and there was a number of communities of interest expressed shared during the meeting. 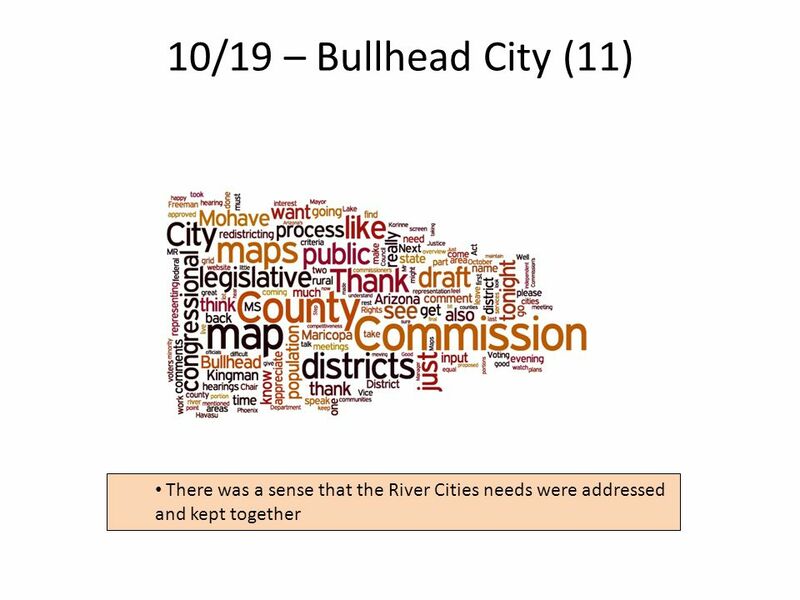 Ranching, mining, timber were specifically mentioned. 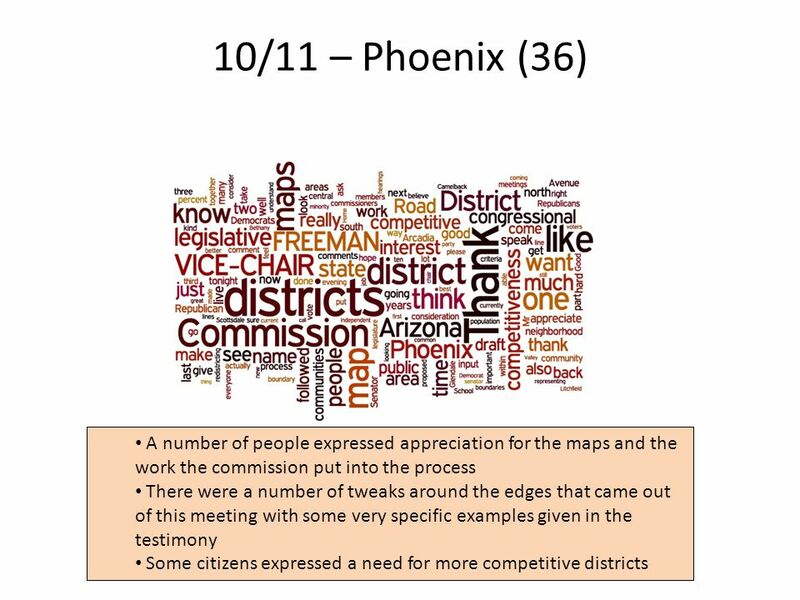 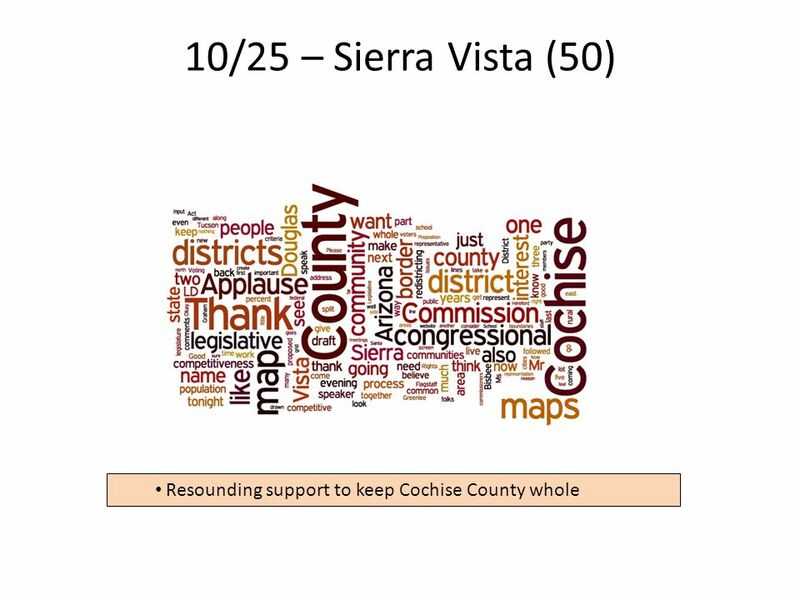 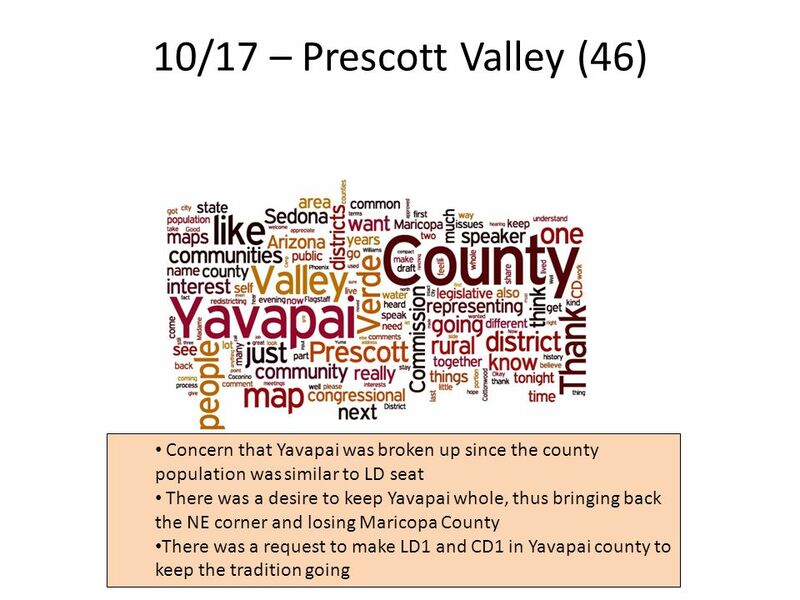 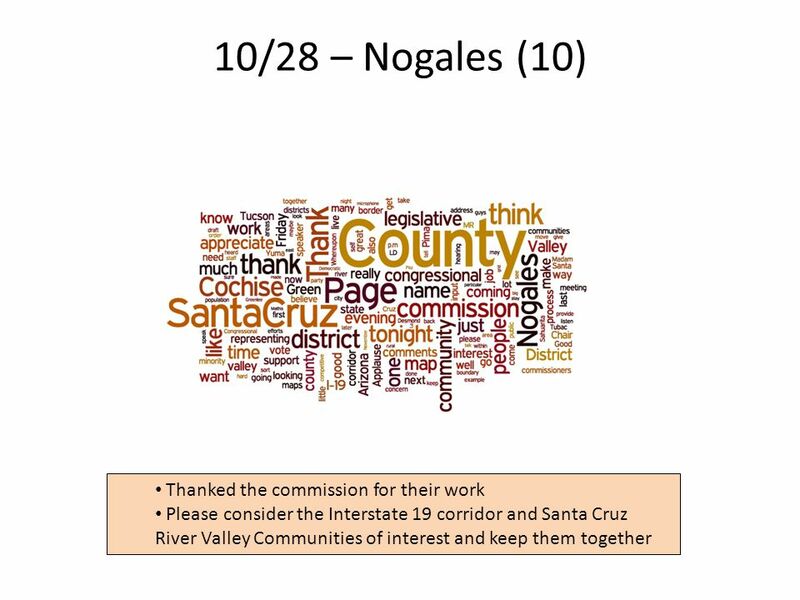 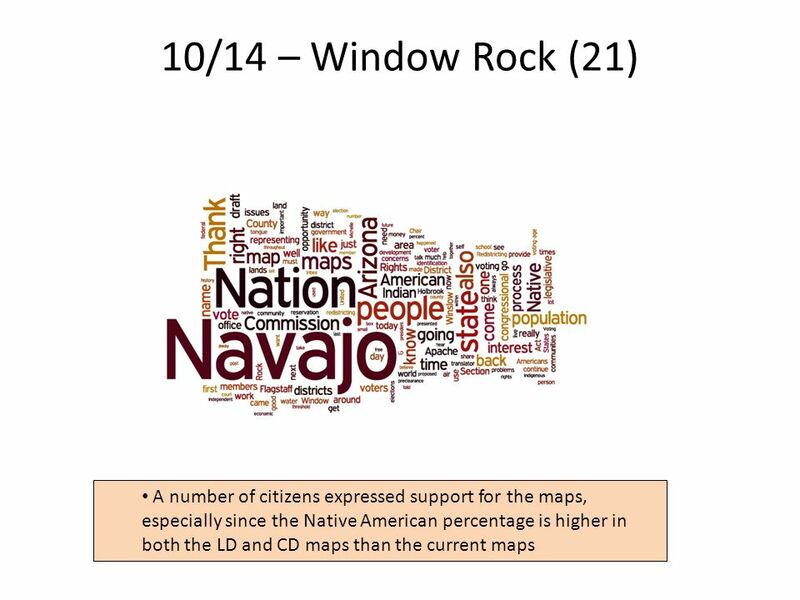 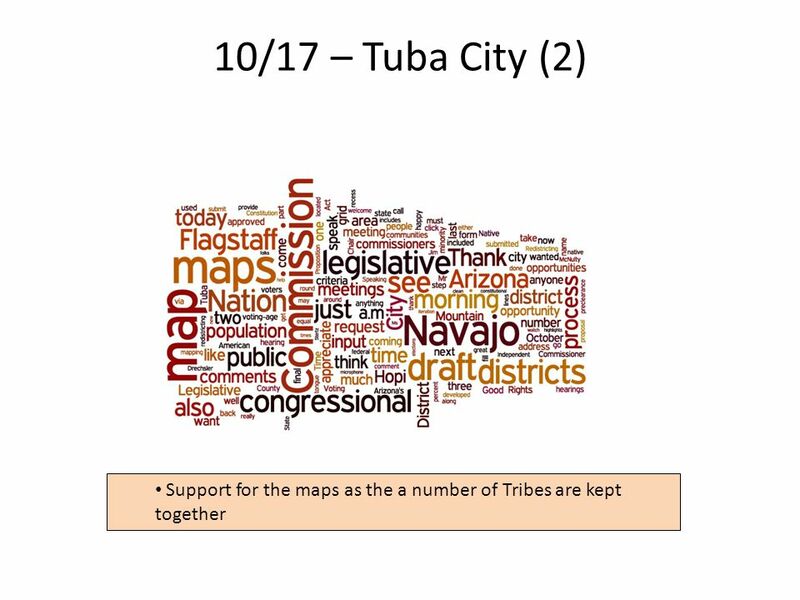 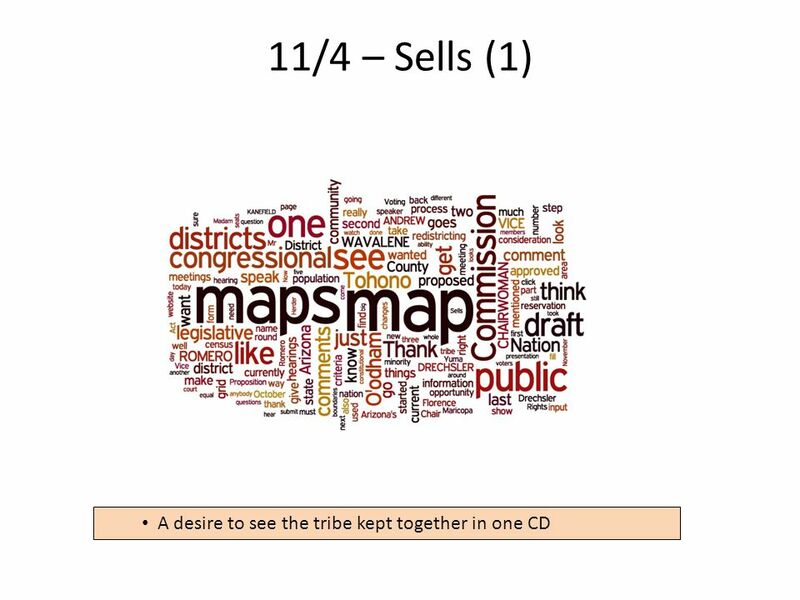 Download ppt "Arizona Independent Redistricting Commission Analysis of Round Two of Public Hearings 11/29/11."